Once the darling of the smartwatch world, Pebble is now being sold for parts. Fitbit announced on Wednesday that it has acquired the software assets of rival Pebble. However, its hardware products are not a part of the deal, and it's unclear what will happen to that division. While terms have not been disclosed, Bloomberg reports the acquisition cost Fitbit (FIT) $40 million. The report states Fitbit has offered jobs to software engineers at Pebble. The company hasn't announced whether Pebble CEO Eric Migicovsky will be staying on, but a Fitbit spokeswoman told CNN that "Eric will be taking an active role in helping the team with the transition." In a press release, Fitbit cofounder and CEO James Park said the acquisition will "accelerate the expansion of our platform." "With basic wearables getting smarter and smartwatches adding health and fitness capabilities, we see an opportunity to build on our strengths and extend our leadership position in the wearables category," Park said. The news comes as wearable brands look to drum up consumer interest and sales. Fitbit's stock dropped 34% in November and it cut its holiday forecast. Meanwhile, earlier this year Pebble announced plans plans to cut 25% of its workforce. Most recently, Apple (AAPL) CEO Tim Cook pushed back against an IDC report earlier this week that revealed smartwatch sales are hurting. He told Reuters that Apple Watch sales during the holiday shopping season were "off the charts." The report estimated 1.1 million Apple Watches were sold in the third quarter of 2016, down 71% from the year before. Fitbit, the most successful company in the fitness tracker space, hasn't formally embraced smartwatches before. But acquiring Pebble's assets could help the company gain bigger marketshare if and when it enters the smartwatch space. Pebble was the first company to make a splash with smartwatches, long before the Apple Watch and Samsung (SSNLF) Gear hit the market. 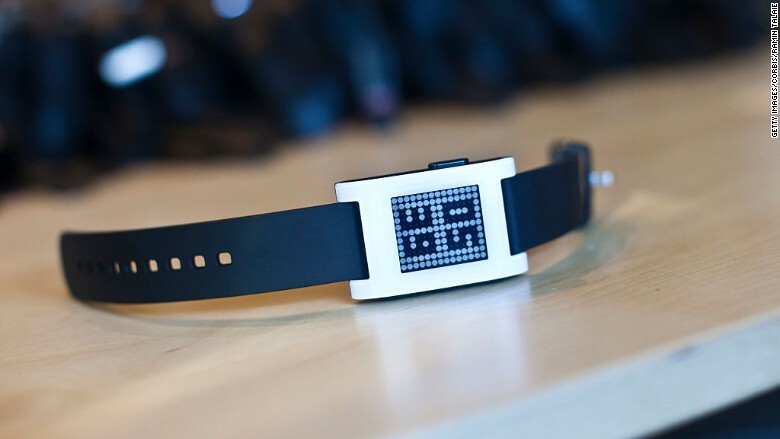 The first Pebble Smartwatch raised more than $10 million on Kickstarter three years ago. In 2015, its second-generation watch, Pebble Time, became the fastest Kickstarter campaign to reach $1 million. A week later, it became the most-funded Kickstarter campaign in the company's history -- bringing in $13 million. Although Pebble recently wrapped up a Kickstarter campaign for the Pebble Time 2 smartwatch, it's believed the acquisition could cancel production of the product and ultimately refund money to early backers. 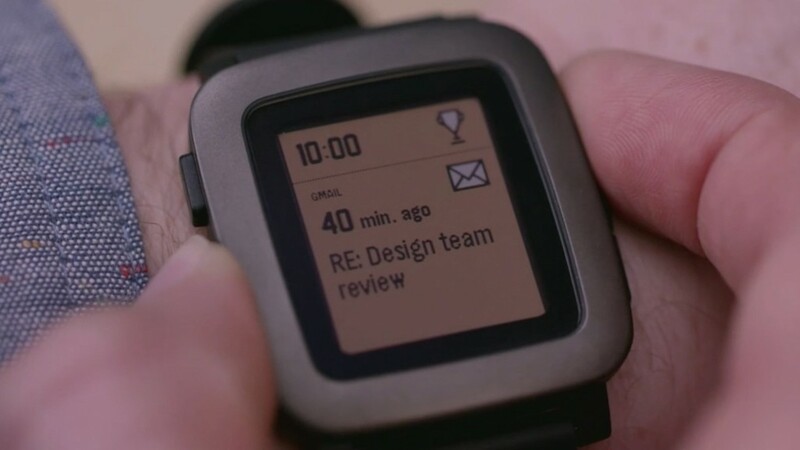 Some Pebble Time 2 backers have already posted complaints in the comments section of the Kickstarter page, demanding more answers from the company. It's also uncertain what will happen to existing Pebble smartwatches. The lack of updates will make those devices obsolete.